Dr. Victor Zalizniak was awarded his Masters in Physics at Krasnoyarsk State University, Russia before becoming a Research Fellow at the Centre for Scientific Computing at the Russian Academy of Sciences (Siberian Branch). He then moved to the Department of Aerospace Engineering at the Royal Melbourne Institute of Technology where he obtained his PhD. In 2001 he returned to the Department of Computer Science at his alma mater, Krasnoyarsk State University, where he continues to lecture, research and write in his particular fields of computational physics and mathematical physics. 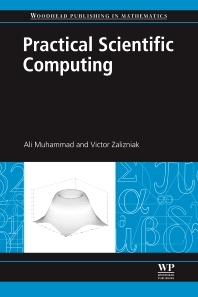 He is the author of several books on scientific computing including Essentials of Computational Physics Parts 1 and 2.